The Syrian crisis is now into its sixth year with tens of thousands killed and millions displaced. It is without a doubt one of the biggest humanitarian tragedy in modern times but has only in the past year received considerably more international attention. Written in 2013, The Syria Dilemma is a collection of 21 essays edited by Nader Hashemi and Danny Postel to highlight the complexities and fragmentation in the then three-year-old civil war in Syria. After an excruciating two-year wait for the Commandant Verhoeven trilogy, I was overjoyed to know that the two remaining books were finally translated from French. They truly did not disappoint and consistently kept me at the edge of my seat that I did not even realize that I had devoured them in one sitting. When taken as a whole, this three-part series – “Irene, Alex and Camille” in running order – by author Pierre Lemaitre string together as a coherent read. (Read here for my review of the second book “Alex”) Individually, they function equally effective as standalone detective stories. Happy New Year to you, you and you! I hope 2015 has been an eventful and fruitful year where you have tried to challenge yourself to do something meaningful. Here is me wishing you a beautiful year ahead. I apologize for the long hiatus I took from this blog. I confess that I have unwittingly neglected this space since last publishing my post more than a year ago. My most sincere apologies to all writers/publishers who have tried to contact me or sent me their new books for review for I did not responded to most of the requests. Late in 2014, I made a personal decision to pack my bag and cross the ocean to pursue my master’s degree. I was so caught up with adjusting to my new life and spending an inordinate amount of time poking my nose into a mountain of academic literature that I had no time on hand to be manning this space. But I am back in 2016 with more book reviews and literary bits and bobs, including trilogies from the Commandant Camille Verhoeven and Miss Peregrine’s Peculiar Children series. More new content will be popping up on this site in the next few days, so stay tuned. And as usual, leave in the comment box below if you have read any new books that you want to recommend to me or want me to review. HAPPY NEW YEAR AND COME WHAT MAY 2016! I was thrilled to bits when I received Haruki Murakami’s latest book from a friend since it has been almost three years when he released his 1Q84 and it has been highly anticipated by legions of the Japanese author’s fans, including myself. A huge thank you to you know who you are for gifting me with one of the most thoughtful gifts I have received in a long while. Murakami’s newest offering is as expected oozing with his typical writing style and themes – a lonely man in his mid-thirties feeling displaced in a big city while harboring a deep sense of solitude. 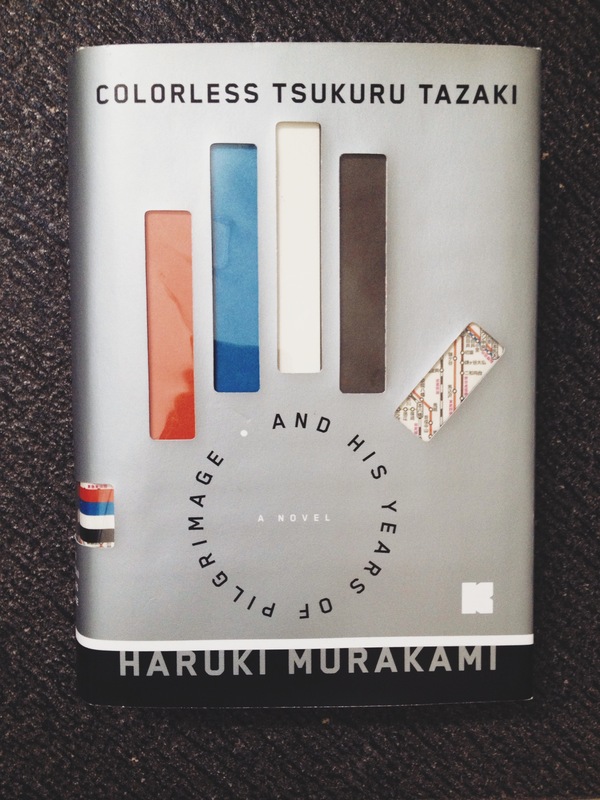 Before jumping the gun, I would like to rave about the gorgeous design for the hardcover version published by Alfred A. Knopf of “Colorless Tsukuru Tazaki And His Years of Pilgrimage”. The dust jacket features five cutout panels, four filled with colors and the last transparent to reveal the complex train lines in Tokyo underneath. When viewed from a distant, the cover forms the shape of a deconstructed left hand, a pictorial description tying in closely with the author’s writing. 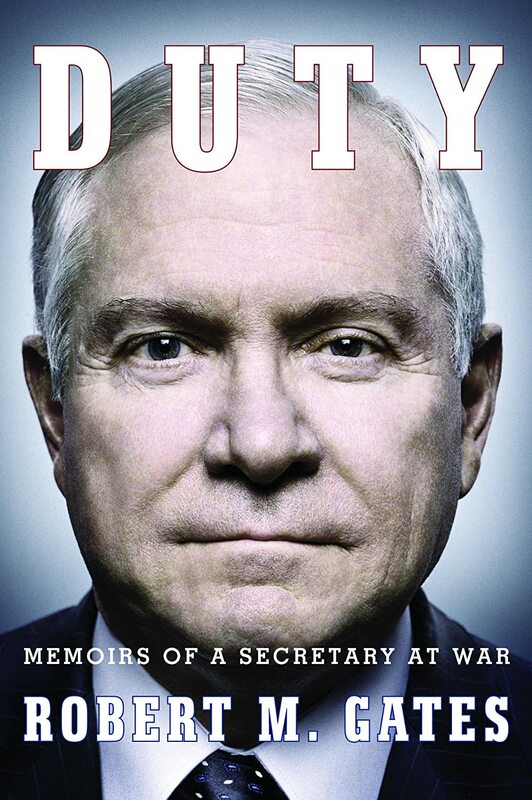 “Duty: Memoirs of a Secretary at War” by former U.S. Secretary of Defense Robert Gates though was a dense read that took awhile for me to get through, it was overall, an enjoyable and juicy read, almost like going through an exposé that dishes the dirt inside the White House administration and Pentagon. In this biography, Gates was astoundingly forthcoming, almost uncomfortably frank that it rankled opinions across the political spectrum. Whether was he ethical in ratting on his ex-bosses will be discussion for another day, yet I cannot deny it was interesting to learn about his experience working with notable political figures.